Part of a luxurious villa complex in Elounda, the three-bedroom Villa Milena features a luxurious master bedroom retreat with en-suite bathroom and two further bedrooms with a shared bathroom, tastefully designed sitting area and a lovely open plan kitchen for true food pleasures. The elegant floor to ceiling windows lead to the stunningly beautiful private pool where guests can dip in the shimmering waters and enjoy the breathtaking views to the sea. Impressive tromp l’oeil hand-painted ceilings and marble touches in the vast bathrooms come complete the luxurious feel of this accommodation. The open plan kitchen is fully equipped for guests’ comfort. Taking up an area of 150 m² Villa Milena features every luxury amenity for a relaxed stay. 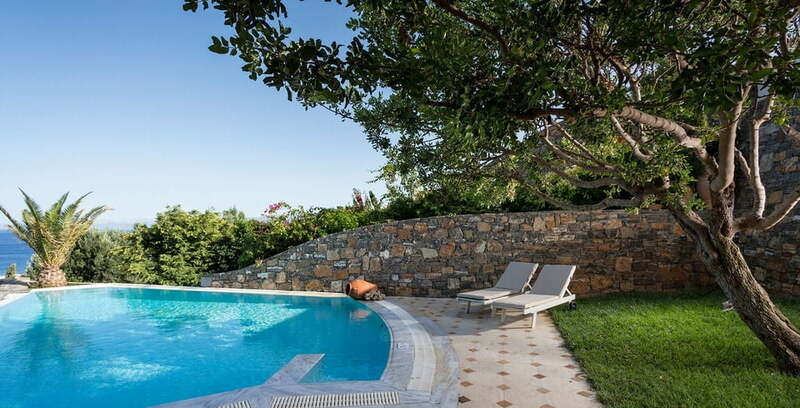 Villa Milena is the ideal option for families or groups of friends.